This has been a fantastic week, not only is it the last week of school for my kiddos it was also a very fun week to be a entrepreneur. I had the pleasure and honor of speaking to the Albuquerque Chapter of 1 million cups about my business strengths and weaknesses. And a big WELCOME to those of you who attended 1 million cups and are now visiting the blog. I am so excited to have you here. Thank you for all the actionable feedback. 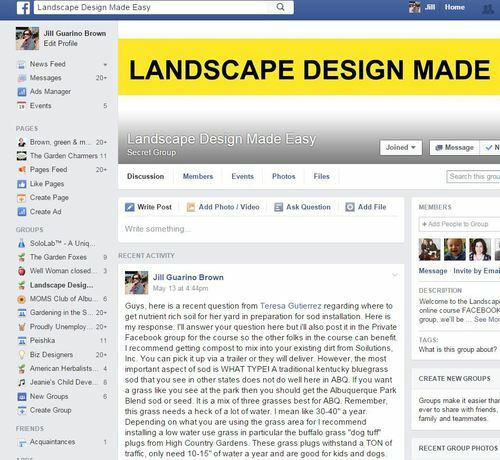 This next week marks the final week of my online class, Landscape Design Made Easy, being available for sale. Why, you ask? Whenever I put something out into the world, I like to take the temperate of everyone who purchased to see how I can improve things for next time. So there’s one more week to jump on into the class. Here is a little bit of what you’ll find inside. This is a self-directed step by step landscape design course where I walk you through my design process, the same process I would do if I was at your home but instead you can do it at your own convenience. You’ll learn via Video tutorials, units, lessons, and follow along with a workbook that includes step-by-step checklists. Concerned about weather you’ll have access to your landscape coach, Jill? Not to worry we have a private Facebook group where we interact, engage and answer each other’s questions. It is in this facebook group where most of the action takes place. Here’s a little recap of what’s actually in the $97 course. 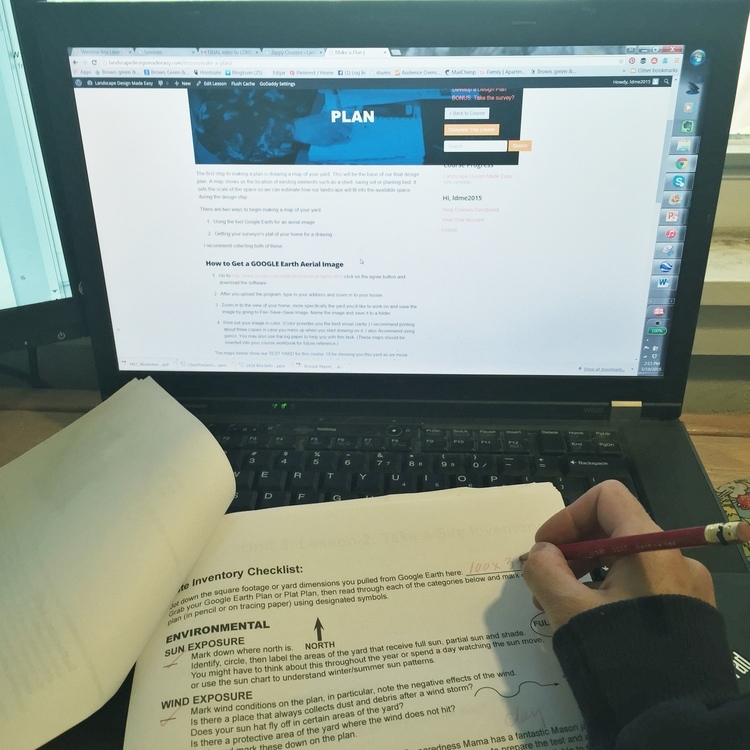 Five (5) online teaching units filled with lessons. (Welcome, Dream, Plan, Essentials and Let’s Do This units) with Video tutorials! 32 page workbook to be used in unison with the course. My favorite garden tool’s list. I’m impressed by all the positive feedback about my course. Here is one of the most recent comments. I’ve even had clients already start implementing their designs. Check out what this young family of five (5) did with the knowledge from the course and engagement with coach Jill in the Facebook group. Did the online course, engaged Pinterest board, & Facebook group including direct communication with Jill. 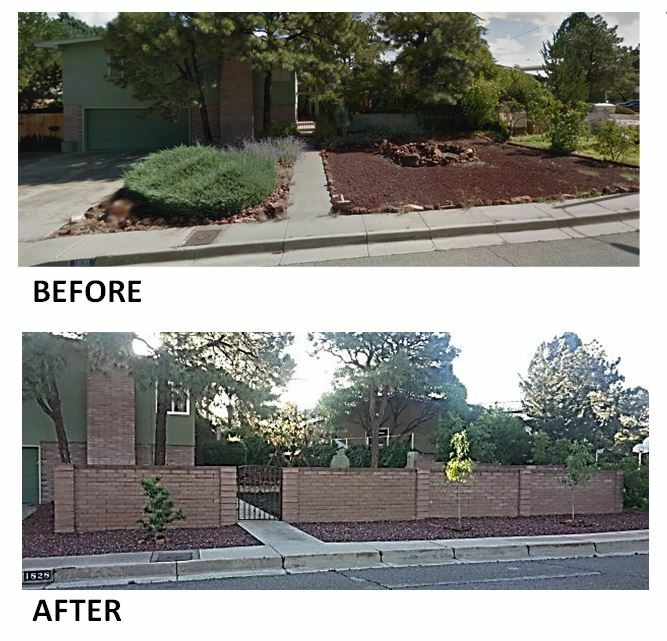 Utilizing low water use plants including a new xeric lawn grass. DIY approach to landscape design with a coach in their pocket taking them step-by-step. Family subsequently is now educated on southwest landscapes and the unique aspects of their yard. 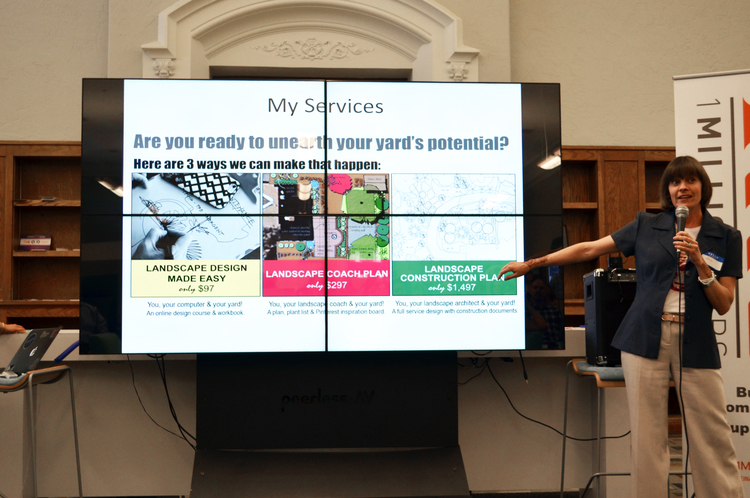 So are you ready to unearth your yard’s potential? Then what’s stopping you? Do you still have questions then send me an email or jump into the course today, the doors of the course close on FRIDAY MAY 29th at midnight 11:59pm MST! 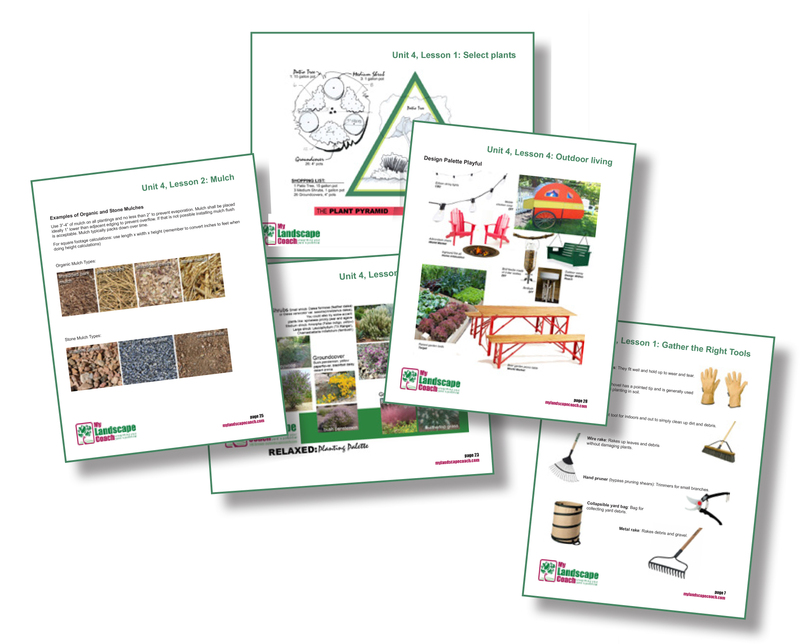 For a sneak peak into the course get your FREE TOP 10 WAYS TO TRANSFORM YOUR YARD below!